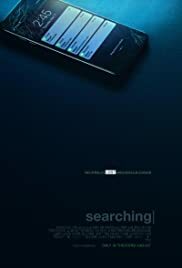 SEARCHING is a psychological thriller starring John Cho (STAR TREK and HARRY AND KUMAR who plays David Kim, a father trying to find his missing 16-year-old daughter, Margo (Michelle La). As David interviews people who were supposedly close with her, he begins to learn that his daughter was not as perfect as she seemed. SEARCHING is a psychological thriller that unfolds almost totally from the computer screen. This is not a new tactic thought still quite a novel one, having being used only recently in UNFRIENDED: DARK WEB and its original UNFRIENDED films. The question that immediately comes to mind is whether the story warrants this style of movie making and if it does, how effective it is. the texts on screen is often too small to ready (this occurs a few times in the film), though it an be made larger when the box is maximized. But being a novel idea, it is still a fresh look at a psychological film and the tactic does work, though one mayans argue that the entire film need not have to be told this way, without compromising the story. But credit to the filmmakers to try something new, and one can tell the amount of effort and coordination going into the making of the film this way. While director Changanty does his best to put as much of the film on the computer screen, it is not always possible. The part of David beating up a possible suspect at a theatre is shown as if seen on youtube. But the searching for Margot’s body in the ravine area is not. The film revokes back to normal non-computer mode necessary keep the story intact. The decision to make an American film about a missing daughter to include an Asian family is a good one. Most films have centred on whites or African American families, and this is a rare one where the fully English film is on a Korean American family. Apart of a few references to Korean culture (the kimchi cooking), the film could be substituted for any minority couple. But typical to most Asian families is to have a daughter take piano lessons. John Cho is one of the most famous young Asian actors today after making his name in STAR TREK and the HARRY AND KUMAR films. He show his serious acting chops in this movie. 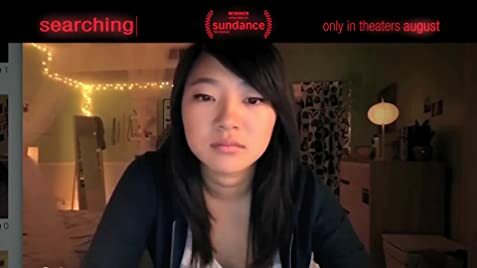 Credit should be given to the studios for a thriller with a break in trend, made with a Korean family and taking place on a computer platform.